When dental implants or bridges are not an option, another method of tooth replacement is a removable denture. The reason why this type of prosthesis is referred to as a removable denture is because patients can remove and reinsert them when required without professional help. 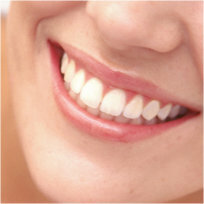 Conversely, a “fixed” prosthesis can and should be removed only by a dental professional. Today’s dentures are more realistic and comfortable than ever before. Removable dentures can be designed as either partial, for patients missing a few teeth – or complete, for patients without any teeth at all. In some cases, extractions may be required. Of course, it is our goal for you to keep the healthy teeth you have, but sometimes a denture is the only remaining option for helping patients smile, chew, and regain the confidence they are missing.